Japanese carmaker Honda is set to announce the closure of its only British car plant in 2022 with the loss of 3,500 jobs, a lawmaker told Reuters, in the latest blow to the UK car industry as Brexit approaches. 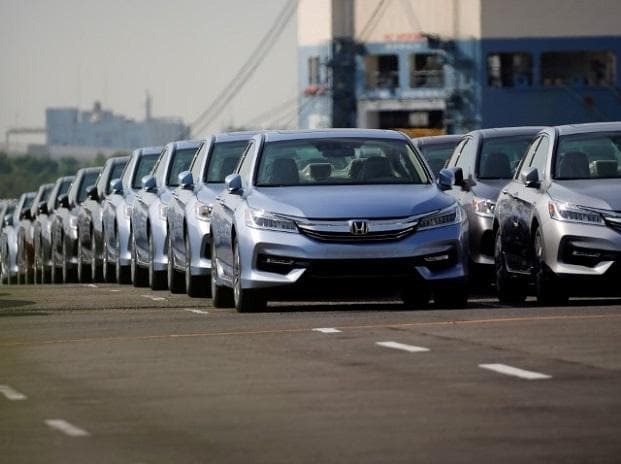 Honda built just over 160,000 vehicles at its Swindon factory in southern England last year, where it makes the Civic and CV-R models, accounting for a little more than 10 percent of Britain's total output of 1.52 million cars. But it has struggled in Europe in recent years, and the industry faces a number of challenges including declining diesel demand and tougher regulations alongside the uncertainty over Britain's departure from the European Union, due next month. "They were due to make a statement tomorrow morning, it's obviously broken early," Tomlinson, lawmaker for North Swindon, told Reuters. Honda's announcement would come just over two weeks after rival Japanese carmaker Nissan cancelled plans to build its X-Trail sport utility vehicle in Britain. "The car industry in the UK over the last two decades has been the jewel in the crown for the manufacturing sector - and now it has been brought low by the chaotic Brexit uncertainty," said Des Quinn, national officer for the automotive sector at Britain's biggest trade union Unite.